Sign up now and have The American Conservative delivered to your inbox at the special introductory rate of $24.95. Get the magazine of realism and reform—in a format that reflects the richness of the magazine experience. Your subscription includes early access to the digital edition of the magazine and archives. Use the form below to activate your subscription now. Email will be your username for online access. 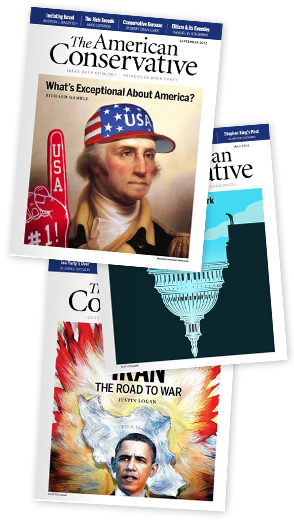 You can immediately access PDF versions of our current issue and archives at www.theamericanconservative.com using the e-mail address and password you entered above. For customer service inquiries, please call 800-579-6148. (Subscribers outside the US/Canada can call 215-826-8411). Your satisfaction guaranteed or we will refund the remaining portion of your subscription.